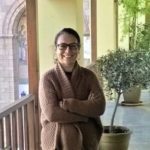 Blog-post author Dr. Marina Toumpouri, Researcher, Αθωνική Ψηφιακή Κιβωτός, Greece. The maritime routes from the West to the Holy Land often included a stop on the island of Cyprus. Pilgrims were given the occasion to disembark for sightseeing or for visiting the island’s monasteries and shrines. Accounts written by travellers who departed from the West and mention that they visited pilgrimage sites or mention holy/venerated places on the island include Paula, a wealthy Roman lady hosted by Epiphanios of Salamis (Constantia) in 386; and later, just to mention few, Wilbrand of Oldenburg (1211), Wilhelm von Boldensele (1334), Iacopo da Verona (1335) and Nicolas de Martoni (1394) whose account is the most detailed. 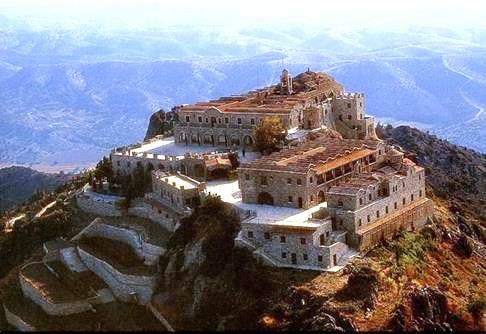 Undeniably the most well-known and venerated pilgrimage site on the island was the monastery of the Holy Cross (Stavrovouni). Its buildings suffered though extensive damage from the Mamluk raids of 1426, as well as a number of devastating incidents like the earthquake of 1491, and the fire of 1888. Today, only the foundations of the original structure remain and hence, all the commemorative material evidence that could eventually testify the visit of pilgrims was lost and can’t be restored. A number of monuments on Cyprus, somewhat less renown were also attracting pilgrims since they possessed relics as well. Although the most important monasteries like those of the Virgin of Machairas and of Kykkos were also destroyed by fire, evidence of the expression of faith of pilgrims still survives in a number of other cult-related sites. These traces of interaction with edifices constitute a corpus of evidence that is contrasted or distinct to the recurring and idealized textual descriptions of the travel narratives, since they attest to actual devotional practices carried out at sites that are rarely or never mentioned in texts. How then these physical manifestations of personal and temporary encounter with the holy could add to the knowledge provided by texts regarding pilgrimage? How books –that interest in particular the members of this research network– relate to other material evidence surrounding pilgrimage, and in which way and for which reasons these diverse expressions of faith and commemoration on different media were diverging? Recent contributions (Walsh, 2007; Trentin, 2010; Grigoryan, 2017; Demesticha et al., 2017) as to the material evidence of the presence of pilgrims on Cyprus paid a great deal of attention to the individualized marks left on a number of sites, almost exclusively carvings, that are still detectable on the surfaces of monuments. The material in question is an important witness of the pilgrimage traffic since it provides valuable information regarding the identity, the social status, the travel patterns, the attitudes and the motives of the people who were on the move. It is notable that the essays point to a diversified human landscape consisting of visitors with different economic, cultural and social backgrounds; Orthodox, other Eastern and Latin Christians. It appears that all these people were not visiting exclusively pilgrimage sites belonging to the religious group of which they were members. Thus, Catholic pilgrims stopping over Cyprus, or, belonging to the local Latin community were visiting as well the numerous Orthodox shrines. In fact, the embracement of the cults of local Orthodox saints and icons by the Latin community of Cyprus –not because what mattered to the Lusignan kings was to attain a religious co‑existence– had deeper motives since the aim was to make appealing to a wider audience the local shrines and cults, with all the benefits their appropriation and connection with them could involve (Grivaud, 2003; Olympios, 2013). If though all these religious groups were visiting the same shrines, the picture that emerges as to their attitudes towards the monuments and the holy, are very dissimilar, indicating unalike motives and mentalities. The evidence of the graffiti on the interior walls of churches point to differences between Latins and Greeks. More precisely, the alphabetic graffiti indicate that Greek pilgrims started being concerned with the commemoration of their visit from the 15th century on, much later than the Latins whose earliest graffiti date from the 12th century. Latins were also much more informative than the Orthodox while the words and images carved were betraying a strong wish to affirm that they have actually visited the holy place. The fact is also supported by the placement of their graffiti near doors and passages. 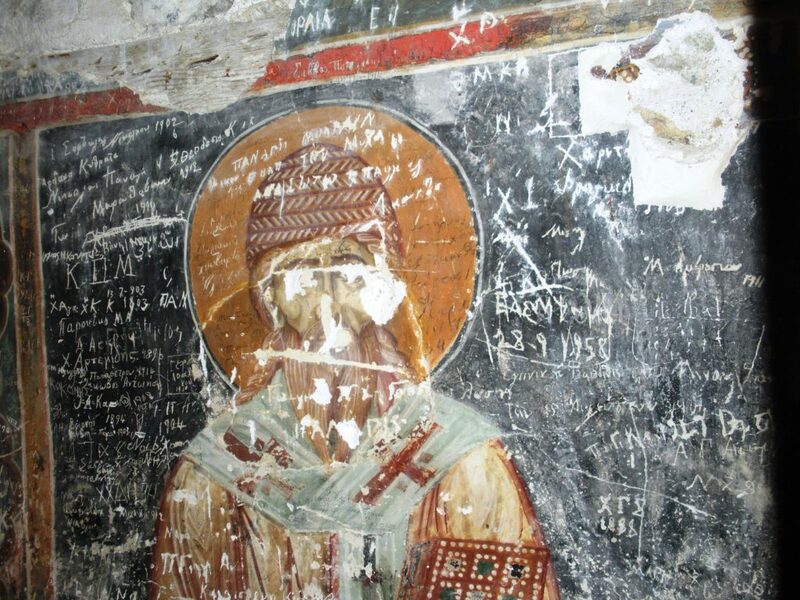 On the other hand, the disposition of graffiti by Greeks points to a desire to become related with the holy, since they are very carefully placed, denoting a knowledge of the iconographical subjects and the hierarchy and symbolism of the iconographical programs of the churches. They were hence carefully placing their graffiti next to the effigies of saints and are either votive or devotional in character (Trentin, 2010; Demesticha et al., 2017). Among the pictorial graffiti, nautical representations located both on the interior and the exterior walls of the churches are the most common (Walsh 2007; Demesticha et al., 2017). Surprisingly enough they are not detected on the walls of monuments found near the coast but of monuments of the hinterland, indicating that the individuals who executed them were not involved in maritime activities. Instead, it was suggested that the churches and/or monasteries might have been visited by those pilgrims who wished to disembark, since it appears that they were placed on the established routes of pilgrimage that were connecting the two major ports of the island –of Famagusta and of Larnaca– to a network consisting of the local major shrines and other less important ones, that were offering shelter to travellers for the night (Demesticha et al., 2017). This possibility remains though a hypothesis. 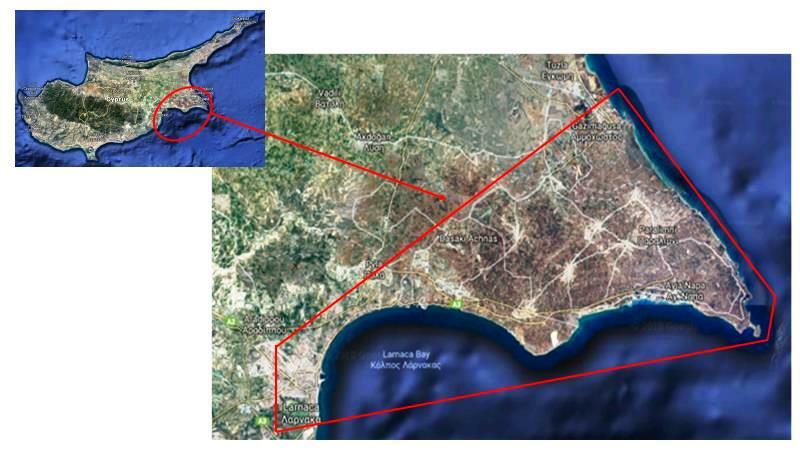 Two newly discovered maps of the island of Cyprus involve the question whether they were executed for a person planning to make a tour of the island, or, for someone who already completed the journey and wanted to record the names of the places –locations and shrines– visited. The maps were designed freehand in two manuscripts that contain medical treatises, i.e. Milan, Biblioteca Ambrosiana, A95 sup. ; and its copy, Venice, Biblioteca Nazionale Marciana, gr. XI.21. Both of them are dating to the mid-14th century and they are considered very rare documents, since Byzantine maps are extremely scarce and local ones even scarcer. It is interesting that although the locations/place-names are written in Greek, there is no resemblance with other Byzantine examples of contemporary cartography. There are neither any resemblances with Western maritime charts, apart from mentioning localities also included in them (Cronier and Dalché, 2017). The place-names included in the two maps, with few exceptions –Kyrenia and Nicosia–, are coastal villages or cities, or at least, locations easy to reach from the coast. These are, apart from the two inland aforementioned cities: Cape Andreas, Karpasia Peninsula, Kyrenia, Pendayia, Poli Chrysochous, Pyrgos, Paphos harbour, Akrotiri Peninsula, Limassol, Aradippou and Famagusta. Interestingly, three important pilgrimage sites were also included: the monastery of the Holy Cross (Stavrovouni) –the most visited shrine of the island– the basilicas of Saint Auxibios at Soloi, and of Saint Epiphanios at Salamis, still in use during the 14th century (Nicolaou, 2017). In Ambrosiana, A 95 sup., the hand that designed the map (fol. 180r) juxtaposed to it a note that mentions a donation to the monastery of the Virgin of Kykkos. This included two manuscripts of medical content and other utensils for being used by the monk-physician of the community. The person who made the donation was probably the physician who owned the manuscript (Cronier and Dalché, 2017). One could then wonder which was the reason for not including in the map the monastery of Kykkos. Was the visit to this specific monastery not included in the itinerary initially planned? Was the person who designed it a pilgrim? Was he someone who was on the island for professional reasons and had to visit the Virgin of Kykkos, and probably also the monasteries included in the map, for providing his specialized counsels and/or for delivering medical material? The questions can be multiplied since it is impossible to know who finally the author of the map was and what he had in mind when designing it. I would though in conclusion like to pose one last question. If the well-known monasteries of Cyprus were also frequented by non-pilgrims, i.e. by persons curious to see these places or just for accommodation and hence without religious zeal, how different finally their commemorative practices surrounding their travel to these religious sites were from pilgrims’? 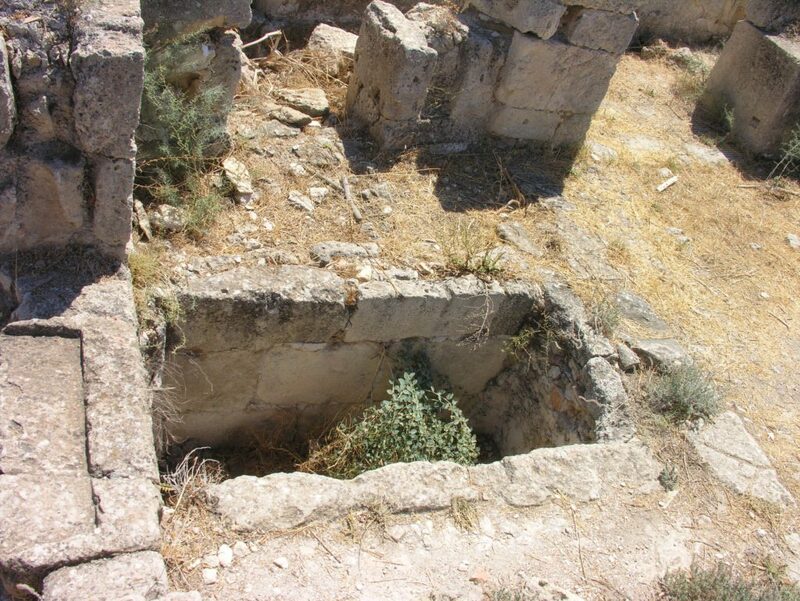 I would like to thank Dr. Doria Nicolaou and Ms. Rania Michail for their kind permission to publish their photos and for their help regarding the afterlife and current state of the early Christian basilicas of saint Auxibios (Soloi) and saint Epiphanios (Salamis). Cobham, C.D. (ed. ), Excerpta Cypria. Materials for a History of Cyprus, Cambridge, 1908. Cronier, M. and Dalché, P.G., “A Map of Cyprus in Two Fourteenth-Century Byzantine Manuscripts”, Imago Mundi, 69/2 (2017), p. 176-187. Demesticha, S. et al., “Seamen on Land? A Preliminary Analysis of Medieval Ship Graffiti on Cyprus”, The International Journal of Nautical Archaeology, 46/2 (2017), p. 346-381. Grigoryan, G., “On the Interpretation of the Crosses Carved on the External Walls of the Armenian Church in Famagusta”. In: Walsh, M. (ed.) The Armenian Church of Famagusta and the Complexity of Cypriot Heritage, New York, 2017, p. 125-139. Grivaud, G., “Pèlerinages grecs et pèlerinages latins dans le royaume de Chypre (1192-1474): concurrence ou complémentarité?”. In Vincent, C. (ed.) Identités pèlerines, Rouen, 2003, p. 67‑76. Nicolaou, D., “Νέα ερμηνευτική πρόταση και αναχρονολόγηση του Παλαιοχριστιανικού συγκροτήματος των Σόλων”, Deltion of the Christian Archaeological Society, 38/4 (2017), p. 57‑86. Olympios, M., “Shared devotions: non-Latin responses to Latin sainthood in late medieval Cyprus”, Journal of Medieval History, 39 (2013), p. 321-341. Trentin, M.G., “Mediaeval and post Medieval graffiti in the churches of Cyprus”. In Christodoulou, S. and Satraki, A. (eds), Postgraduate Cypriot Archaeology Conference, Newcastle, 2010, p. 297‑321. Walsh, M., “‘On the Princypalle Havenes of the See’: The Port of Famagusta and the Ship Graffiti in the Church of St George of the Greeks, Cyprus”, The International Journal of Nautical Archaeology, 37/1 (2007), p. 115-129. “[…] falling at the feet of the holy and venerable Epiphanius, she was by him detained ten days; […] she visited all the monasteries on the island […].” Jerome, Letter 108.7. “We continued our pilgrimage thence to visit the cross of the thief who was crucified on our Lord’s right hand […]. Hence, we made the ascent of the mountain called of the Holy Cross […]. 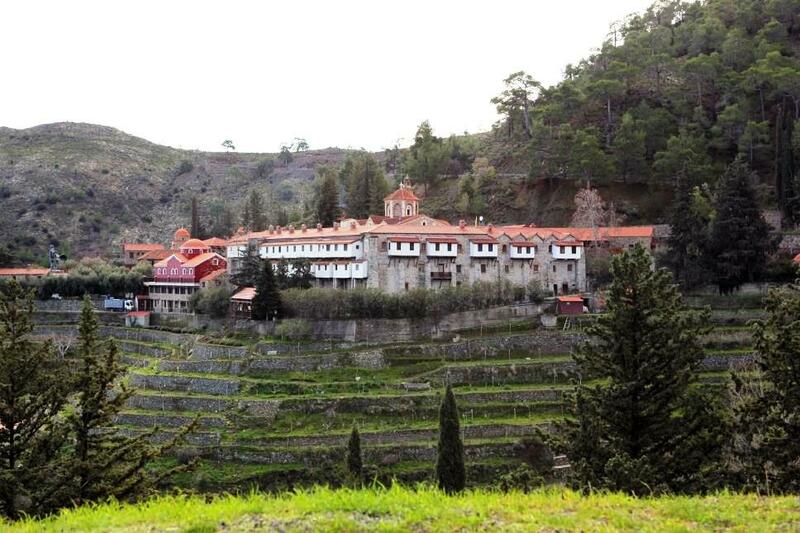 On its peak is a small convent. […]. Within the convent is a small chapel, in which that precious cross is kept with much honour. It hangs and swings in the air, they say, resting on no support.” Excerpta Cypria, p. 14. “There is in Cyprus […] the cross of the good thief, and part of a nail of the Passion; and other worshipful relics. 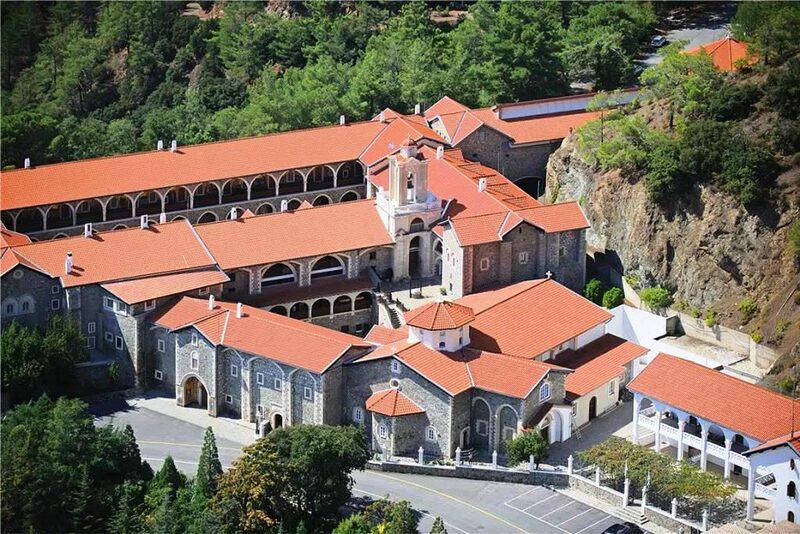 Also in Cyprus is the body of the blessed Hilarion […]. And another saint who is called Zozonion or Zozomion is held in this island in great reverence, whose head is preserved in the royal chapel. S. Barnabas also of the city Salamina or Constantia now destroyed, near Famagusta, was born in Cyprus.” Excerpta Cypria, p. 16. 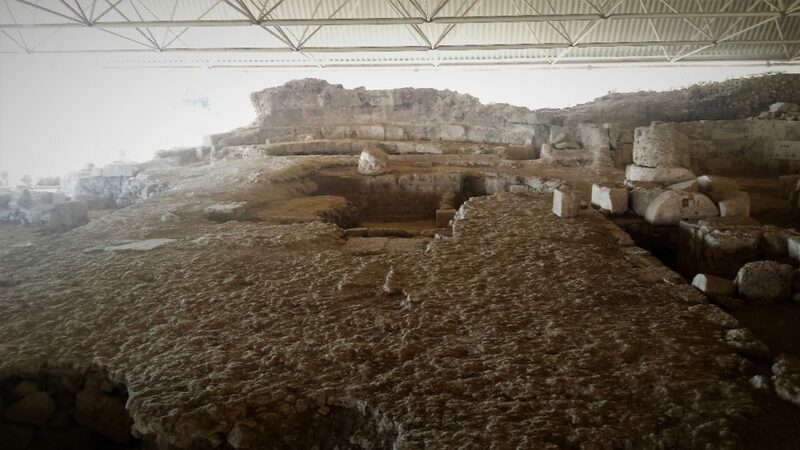 “[…] we all, merchants and pilgrims and sailors and crew, went to the church of S. Maria de la Cava [Famagusta]. […]. In that island is a very high mountain […], and on the mountain a renowned monastery […] called of the Holy Cross, and a church. Between two rocks hangs the cross of the good thief […] and a vast multitude visit it. It is called the mountain of the Cross […]. To this monastery […] I went on my return from Nicosia. I arrived there with devotion and reverence, and saw and touched that blessed wood […].” Excerpta Cypria, p. 16-18. 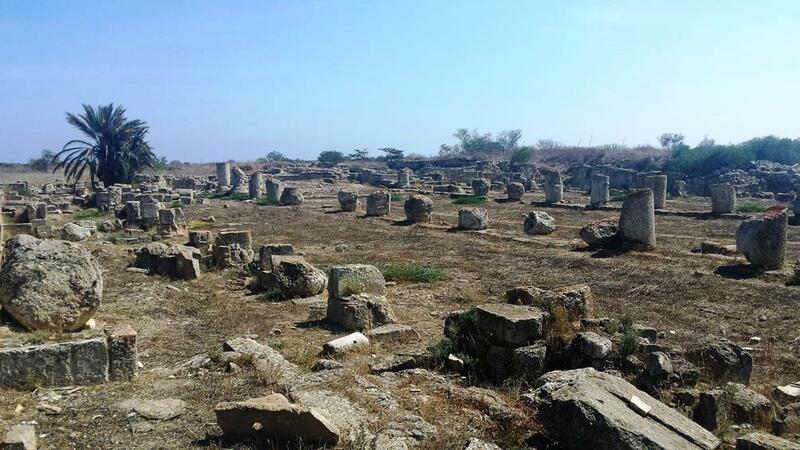 “[Famagusta] In this town is a house of S. Francis […]. In the same city is a church dedicated to S. Stephen, a fine building with a hospital […]. In the same city is a monastery of S. Maria de Cammino. […]. In this church I saw the undermentioned holy relics, to wit: the head of the blessed Ursuline, very beautifully shrined in silver. A bone of the shin of S. Leo, Pope. The head of S. Cufinus. The head of S. Sosius. And a piece of the wood of the holy cross of our Lord. […]. There is […] a monastery of S. Dominic […]. […] and went to the place where one can see the castle of the city stood, […] and there directly is that room, now destroyed, where the blessed Catherine was born: near it now stands a seemly chapel […]. [Nicosia] […] S. Sofia is a fair and great church […]. In this city are monasteries and places, of S. Francis to wit, of S. Dominic and S. Augustine […]. I […]went towards the mountain where is the holy cross […]. I reached the church. […] on the right-hand side is a little chapel, and there is the said blessed cross, raised and suspended, and nowhere attached, which seems a great miracle; and in this cross, is a piece of the wood of the blessed cross of our Lord Jesus Christ […]. […] the monks […] showed me […]: a large piece of S. Anne. An arm of S. Blaise. A nail fixed in the hands of Christ. A rib of S. George. A stone with which S. Stephen was stoned. And a piece of the wood of the said cross […]”. Excerpta Cypria, p. 22-27. 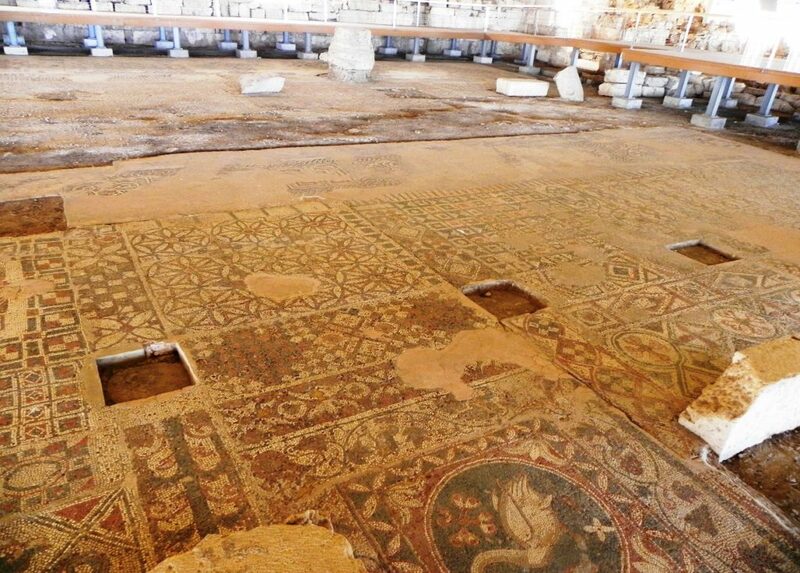 Dr. Doria Nicolaou is actually working on another paper dealing with the cultic activity at the early Christian basilicas of Cyprus and how it developed or transformed through time. I would like to thank her for sharing the draft of the paper in question that will be entitled “The afterlife of the Early Christian Basilicas of Cyprus: continuities or interruptions?” and will be published in late 2018. “[In] Cyprus, upon its mountain, in the monastery of the All-Saint Mother-of-God, called [at?] Kikos, I gave to the spiritual father [Ger? ]manos: two books of medicine, one with wooden boards covered with leather, and the other too; good scales; a jar of glass, like the Alexandrian vessel; and medical utensils, with a paper bag”. The translation is of Cronier, M. and Dalché, P.G., 2017.